Dear reader in this post we will learn about IBC recommendation for foundation drain. We are not discussing about importance of foundation drain here. A drain should be placed along perimeter of foundation and IBC provided specific recommendation about construction material. The drain should be constructed of crushed stone or gravel containing material less than ten percent passes through 4.75 mm sieve (No.4). 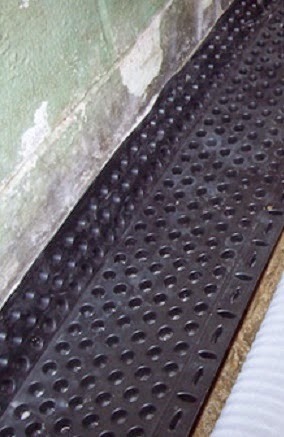 A minimum recommended extension of drain beyond outer edge of footing is 305 mm. Regarding thickness, IBC suggested to keep bottom level of base under floor lower than bottom level of foundation drain; again top of drain should not less than 152 mm above top of footing. Acceptable material (by building official) should be provided above the drain to cover them; filter membrane is used in this purpose. In case of perforated pipe or drain tile used in draining facility, invert level of pipe or tile should not be placed higher than floor elevation. Again top of perforations or top of joints should have protection of filter material discussed above (filter membrane). 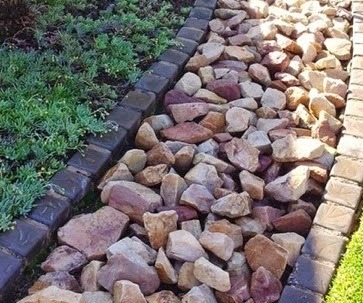 The tile or pipe should rest on crushed stone or gravel layer of thickness equal or more than 51 mm (2 inch). These should have also cover of equal or more than 152 mm (6 inches) of identical material. According to IBC, the crushed stone or gravel should such that equal or less than 10% of material passes through 4.75 mm sieve.